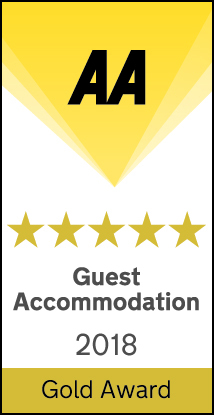 Following an undercover visit by the AA hotel inspector Old Church Farm has been awarded a Five Star Gold Award. We also received a separate award for Breakfast and Dinner. We are absolutely over the moon to receive this industry recognition that is trusted the world over. It shows that we are doing the right things and inspires us to do even greater.